With the majority of professional esports players retiring by the time they hit their late twenties, there have been many questions raised about why competitive gamers have such a short career lifespan. Factors of diminishing reaction times and that much-feared ‘burn out’ seem to have the biggest impact upon the lifecycle of a top level gamer. But it also seems as though the esports realm has something of a problem with players who are beyond their late twenties. So is this a case of ageism in the industry, or is it just a case that only young people have the reaction times necessary to compete at the highest level? A recent article by Kokatu stated that 19% of the world’s gamers are over the age of 50. Despite this impressive figure, a quick look at any esports tournament tends to reveal almost exclusively younger faces. So where are all of the older gamers and why don’t we see them at competitive gaming tournaments? The recently launched esports organisation, Silver Snipers, look set to change all of that. Silver Snipers are reportedly the world’s first professional senior CSGO team, and they have just started out on their first world tour to prove that age doesn’t have to be a barrier to playing esports at the highest level. With an average age of 66, the Silver Snipers certainly have a touch more life experience than most esports teams. 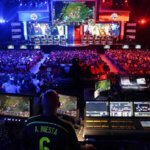 A report by Statistica stated that in 2015 the average age of US League of Legends esports players was 26. Whilst Call of Duty players tended to be a touch older at 27 years, they would have some way to go before they caught up with Silver Snipers’ oldest players, Oivind ‘Windy’ Torerud and Abbe ‘BirDie’ Drakborg, who are both a very respectable 75 years old. The Silver Snipers team have already picked up a sponsorship by the Lenovo tech company, and whilst it would be easy to see this as some kind of publicity stunt, it seems as though Silver Snipers are serious about their gaming. Thanks to the efforts of their head coach, Tommy Ingemarsson – previously of Ninjas in Pyjamas – the Silver Snipers recently made an appearance at DreamHack Winter in Jonkoping, Sweden. This followed on from successful displays of their gaming prowess at IgroMir Expo in Moscow and Paris Games Week, and so it seems that the Silver Snipers’ journey has only just begun. Whilst you might not see the Silver Snipers in the final of the Intel Extreme Masters anytime soon, it’s still a noble effort from a group of gamers who are keen to broaden the reach of esports. We have seen numerous examples of esports stars retiring early in their careers, and there are many factors behind these decisions. From the likes of the StarCraft II player, Jang Min-Chul, retiring at the age of 24, to the LoL star Stephen “Snoopeh” Ellis retiring at 23 years, it seems as though there’s only so long gamers can keep up with the intensive working schedule. With most gamers playing for around 12 hours per day, it’s easy to see why repetitive strain injuries can hamper players’ abilities. Slowing reaction times are another key reason as to why gamers tend to call it a day by the time they reach their mid twenties. And whilst playing video games is a lot of fun, even the most enthusiastic gamer would have issues with maintaining their hunger for esports after a solid decade of competitive gameplay. Could ageism be a factor in the lack of older gamers? As pro gaming relies on ultra-fast reaction times and exceptional hand-to-eye coordination, then it’s little surprise to find that older gamers struggle to keep up with younger stars. Such patterns can be seen in the traditional sporting world, and whilst pro gaming requires less in the way of physical fitness, only those with razor-sharp reaction times are going to be able to make it to the top. 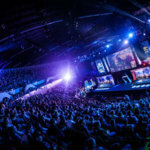 Despite these fairly obvious facts, there is a creeping suspicion that many older gamers are getting forced out early from esports. The recently retired League of Legends star, Saintvicious, stated that he was frequently called ‘old man’ by other gamers despite the fact that he was only 28 years old when he called it quits. Some older gamers are able to carry on regardless of such toxicity. Take the CSGO player, SirScoots, who helped set up Unitary Guerilla Platoon at the start of the Counter Strike gaming revolution and is still a big presence in esports at the age of 52. And with the likes of Silver Snipers on tour, it’s hoped that esports can overcome its unspoken ageism issue.